This week’s trail running tip is inspired by a question from one of my former cross country teammates at the University of Portland. 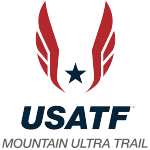 He asked me to elaborate on how to train specifically for trail running, and how this can be different from training for other forms of running such as track, cross country or road. In my experience, there are a variety of ways to train effectively on the trails. For example, some accomplished trail runners, such as Kílian Jornet, compete in the winter sport of ski mountaineering for half of the year and run trails during the other half. Other trail runners enjoy weekly hours of hiking or rock climbing to spend time in the mountains in addition to their running mileage. Still others prefer structured workouts, such as 12 by 400 meter hill repeats or uphill tempos. Although there is not one method for the best way to train on trails, I’d like to share three essentials to my trail training. The most essential part to any trail runner’s routine is enjoying your time out on the trails. For me, taking a long run to explore far into the mountains is one of my favorite ways to enjoy the trails. I have many joyful memories of longs runs with friends, such as an outing with Hoka One One athlete, Hayden Hawks, that took us far into the Wasatch mountains outside of Salt Lake City, Utah. We spent several hours on the trail, scrambling through scree fields, sliding down snow patches and jumping into an icy alpine lake.This kind of run reminds me how much I love to explore and have fun in the mountains, which is an essential part for me of being a trail runner. 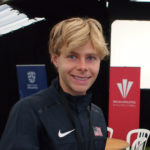 Hayden Hawks helped the U.S. men’s team for a gold medal at the 2016 World Mountain Running Championships. 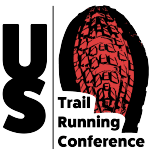 Trail runners should be prepared to encounter a wider variety of terrain than other types of runners. 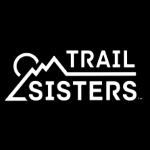 During trail races, I’ve run on loose rocks, boulder fields, snowy ski runs, grassy slopes, muddy forests, mountain service roads, single track, red rock slabs, and granite peaks just to name a few. Each type of terrain presents unique challenges that runners should train on before attempting to race on. Before the 2017 Long Distance Mountain Running Championships in Premana, Italy, I spent a week training in the Pyrénées mountains in the south of France, which helped me get used to the steeper and more technical European-style single-track terrain that I would encounter at the world championships. I was told before the race that it was common for Americans to lose time on downhills in European races because of their unfamiliarity with the steep and technical single-track, however, I can happily say that thanks to my time in the Pyrénées no one passed me on a downhill. Trail running uses more muscle groups than other types of running. There is more agility and lateral movement when running on trails to avoid rocks, roots, and to make sharp turns. Additionally, uphills may make your calves burn, while fast downhills can quickly give you soreness in the quads. To make sure my body is strong in all of these areas, I like to ensure that I’m doing a diverse set of activities in addition to my running. I do a core and stretching routine almost everyday. I also incorporate yoga, balancing exercises, some swimming, and cross-country skiing in the winter. Max King carried the 50 pound Google Trekker on part of the Western States 100 course. I’ve also witnessed world champion trail runner, Max King, pick up large rocks during his runs as a form of strength training. However you organize your strength routine, I think it’s beneficial to have a diverse set of activities that you can do in addition to running.